Priscillia de Muizon’s practice focuses on business, real estate, and land use matters. She counsels clients on a wide range of issues including the formation and operation of business and nonprofit entities, the purchase and sale of real property, and use permit applications and modifications. 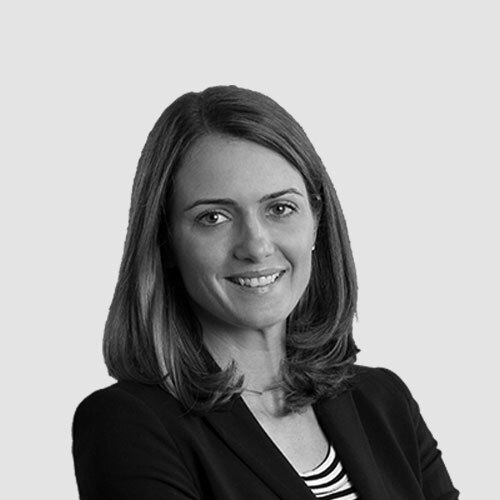 She also advises clients in connection with agricultural, commercial, and residential leases, grape purchase and sale contracts, and related transactions. Having grown up in the Napa Valley and assisted with her family’s vineyard and winery operations, Ms. de Muizon has a unique understanding of both the challenges and opportunities for local businesses and landowners. Prior to joining Coombs & Dunlap, Ms. de Muizon practiced law in San Francisco in the land use and environmental law group of a large private firm, and was a research attorney for the Ninth Circuit Court of Appeals. She earned her J.D. from Boalt Hall, where she served as an Articles Editor for the Ecology Law Quarterly and helped found the annual student-organized Water Law Symposium. Ms. de Muizon serves on the Board of Directors of the Napa Humane Society and on the project committee with the Napa Land Trust. She is also a member of the Napa County Bar Association. Ms. de Muizon is fluent in French. In her spare time she enjoys playing golf and spending time with her family and their rescue dog Sweet Pea.